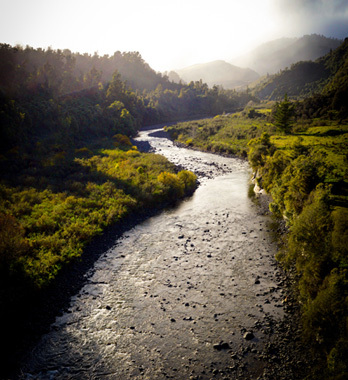 Ruahine Ports is nestled in the beautiful New Zealand countryside, the Ruahine Ranges. The Ruahines mean so much to us being the place we grew up and wake up to every morning when we open our curtains. Ruahine means two Women, or ‘Wise Women’ and relates to the grand-daughter of the Kaitaki Turi who travelled to New Zealand from Hawaiki on the Aotea Canoe. She was said to be a medicine woman and wise in the ways of the forest. As a country kid, Damon spent countless days possum trapping, camping and hunting with his mates. Alisha is passionate about making healthy Wild Kai and creating nutritious food with ingredients gathered and hunted in the Ruahines, honouring the land and all that she has to share with us. We invite you to share in our ports and our story as we travel the country to various trade shows every year across New Zealand. The amazing stories we hear every time we attend events such as Field Days in Mystery Creek, or the Canterbury Culverden Fete has inspired us to keep crafting port that truly stands out. At Ruahine Ports we believe in good old fashioned value. We focus on creating unique ports that are made from the fruits all New Zealanders already have a relationship with, and we age our port with Mountain Totara. We are the only winery in New Zealand that does this. Alisha sketches all the label artwork from photographs and is the creative genious behind the glassware, port vessels and stands. The wild animal depicted on the port bottle label matches the game meat that best compliments that port. We believe in bringing our ports to New Zealanders in a way that gives them immediate access to our products without the middle man. By exclusively selling our ports on our website and through trade shows, we have the peace of mind that our customers are not being charged liquor store retail prices and that we can connect with you directly to provide the best possible service. We respond to our customers tastes and work to create ports that YOU like. When you buy port sippers from us, we guarantee replacement of the product even if you break it. This means your port sippers are yours from the moment you buy them, forever. We believe that good business means giving back to those who support us. We do our absolute best to make sure you have a memorable experience when you enjoy our ports and interact with us. We buy our fruit from some of the oldest established family orchards in New Zealand and use natural spring water from under the Puketoi Ranges. 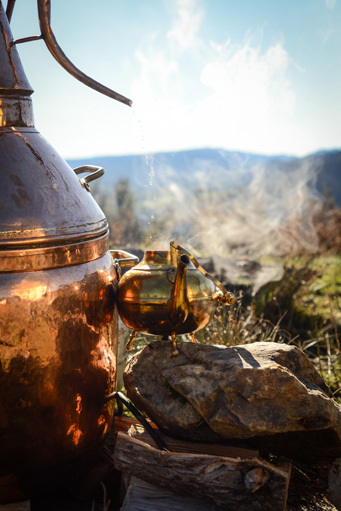 We make our own spirit from the fruit wine to fortify our port with a Portuegese hand-made Alquitar Copper. We then age our Port with New Zealand native Mountain Totara wood. Our ports do not contain any sulphites (preservative) and have from 3.5 up to 5 times more antioxidants than grapes. Want to share your experience? Let us know what you think! We welcome any customer feedback or stories you’d like to share. If we can help you any way let us know! Wonderful stories may also go on our blog with your permission. You can contact us by filling in our online contact form, or give Damon a call at (021 183 5460)!